All Dufferin one and two-piece cue shafts are made of pure white 100% select solid Rock Maple straight from the forests of Canada. Each cue blank is carefully dried and turned while straight up and down to ensure the absolute straightness of the final product – just one of the many manufacturing control processes that gives Dufferin its legendary reputation for quality. 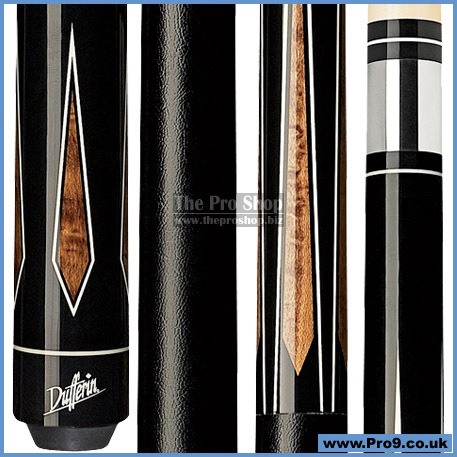 Dufferin cues feature fittings of dependable and resilient aluminum, linen, fiber and wood, which have been specially designed to maximize the cue’s feel and responsiveness without affecting its balance. All Dufferin cues are made from carefully selected Canadian Hard Rock Maple. Because of our reputation for legendary quality, all Dufferin cues are backed by a one (1) year guarantee against manufacturers defects. The warranty period extends for one (1) year from the original date of purchase and is non-transferable. Claims made after one year or claims that are not accompanied by the original receipt are subject to manufacturer approval. This warranty excludes warpage and damage due to wear, by a third party, or resulting from abuse or mishandling.